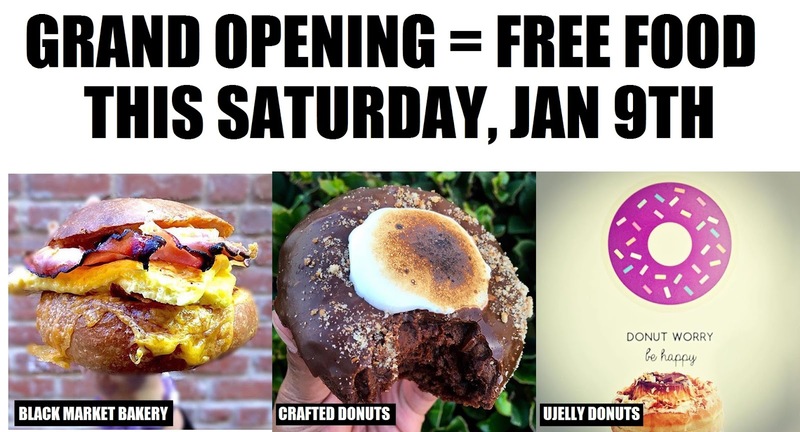 GET FREE FOOD THIS SATURDAY, JAN 9TH AT THE GRAND OPENING OF NEW BAKERIES! - EAT WITH HOP! Home / CA / DEALS / DTSA / FOUNTAIN VALLEY / FREE / GRAND OPENING / ORANGE COUNTY / SANTA ANA / GET FREE FOOD THIS SATURDAY, JAN 9TH AT THE GRAND OPENING OF NEW BAKERIES! GET FREE FOOD THIS SATURDAY, JAN 9TH AT THE GRAND OPENING OF NEW BAKERIES! all the above photos in the collage are taken from the respective Instagrams @blackmarketonbroadway, @crafted.donuts & @ujellyujelly. YOU KNOW I'M ALL ABOUT THE FREE. because food tastes much better that way right? First up is Black Market Bakery. They've already got a location at the hipster meet up spot The Camp in Costa Mesa but now they are opening a new location in Downtown Santa Ana! 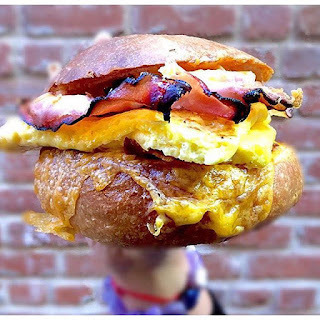 The bakery opens its doors on January 9th at 8am and the first 50 people in line will get a free egg sandwich called an Eggywich. The photo below of the Eggwich just makes your mouth water doesn't it?! Another donut shop is opening in Fountain Valley right across from Mile Square Park! It's in the same plaza as Starbucks and Tip Top Sandwiches and etc. and has replaced Fusion Tea Bar. But actually, the owners are the same. Entrepreneurs of many: Andy and Scott + Fusion Tea Bar owner: Lysa Thuy teamed up together to make UJelly. It's a new donut shop that still serves the top favorite drinks from Fusion Tea Bar plus a focus on specialty crafted donuts! It's Grand Opening is January 9th at 8pm - 11pm and the first 50 customers will get a free gift! 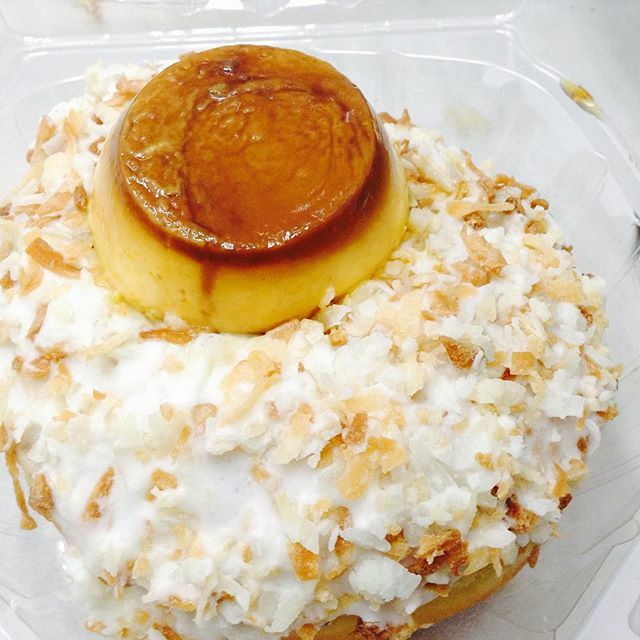 Here is an awesome photo I took of the Coconut Flan donut! Lastly, it's Crafted Donuts! 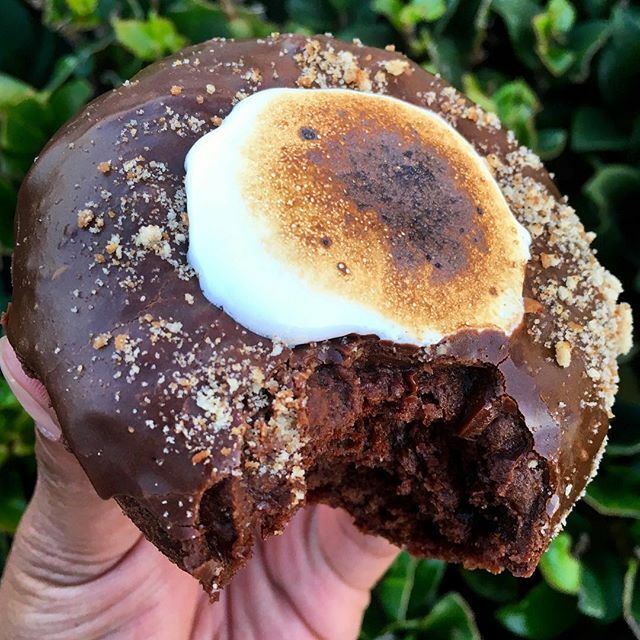 This is another donut shop opening up in Fountain Valley but actually, let's just keep the story simple and call it OC Donut Bar with a twist. Their chef is getting creative with the menu and going to add a new innovative specialty donuts menu thus changing the name. Don't worry though, because I'm sure they are gonna keep the top faves from OC Donut bar and still serve it. Now, their deal is the best out of the deals and is pretty much tradition for the Donut Bar company. FREE DONUTS for EVERYONE until they run out. That's right! EVERY DONUT IS FREE. Doors open on January 9th at 8am and the first 100 customers get a free $10 gift certificate! All customers will get a free donut while supplies last.